The government has moved to dampen fears in the medicine and veterinary industries by saying they will continue to 'work closely' with the the European Medicines Agency (EMA). Health Secretary Jeremy Hunt and Business Secretary Greg Clark has said that the UK is fully committed to continuing a close working relationship with the EU, in particular the EMA, post-Brexit. The EMA currently licenses all medicines that manufacturers want to sell in the 28 EU states and some other countries in the European Economic Area. The National Office of Animal Health (NOAH) has welcomed the statement. In a letter published in the Financial Times on 6 July, NOAH Chief Executive Dawn Howard said that NOAH agrees access to medicines for human patients is vitally important, but explained that the UK must also ensure that farm animals have continued access to the best veterinary medicines to protect their health and welfare. “Animal medicines are equally subject to the stringent regulatory controls of their human counterparts, based on EU legislation, using the EMA,” she said. “Animals need medicines for the high standards of animal health essential for public health and food safety: the UK veterinary medicines sector is also essential for the wellbeing of the pets sharing 12 million UK households, as well as nearly 10,000 assistance animals and 1500 working dogs. 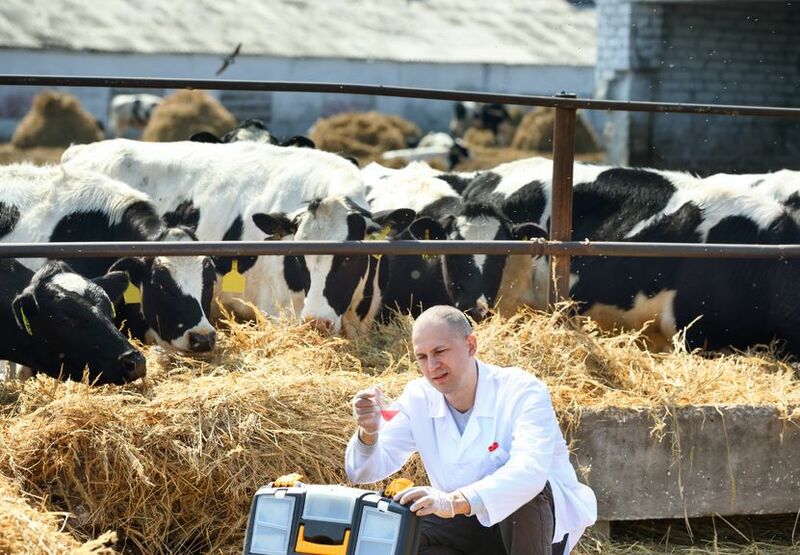 “As we leave the EU, our priority is a vibrant and innovative animal medicines sector, supporting the health and welfare of the UK’s livestock. Our future regulatory model and relationship with both the EU and international partners will be critical to this success,” she said. Miss Howard said the responsible use of medicines 'underpins' so much that is valued in British society. She said: “The production of food from healthy animals on UK farms; our relationship with the pets that share 44% of British homes – in everything we and our members do at NOAH, we aim to improve the lives of animals through encouraging responsible farming and pet ownership and promoting the safe and responsible use of medicines. “As we leave the EU, it is so important that Government ensures that what our sector needs to continue to provide the tools to allow our sector to thrive in the UK is included in Brexit negotiations. A report has said that non-British EU veterinary surgeons are critical to the UK veterinary workforce. Around 50% of veterinary surgeons registering to practise in the UK each year come from overseas, with the vast majority of these coming from the rest of the EU. Yet one-fifth of vets are already reporting that it has become harder to recruit since the EU Referendum. The British Veterinary Association (BVA) ‘Brexit and the veterinary profession’ report outlines the 'essential' role that the UK veterinary workforce plays in not only caring for farm animals, but in enabling trade, ensuring food hygiene and safety, and undertaking cutting-edge research.